We bet your favourite food already contains it. There are all sorts of weird and wacky food trends out there (looking at you, rainbow cheese toasties), so it's not really surprising that seaweed food products are having their moment. Once you get past the idea of eating salty ocean plants, you realise it's not so weird at all. Case in point, sushi. Yep, our favourite sushi rolls are made with nori -- edible seaweed. 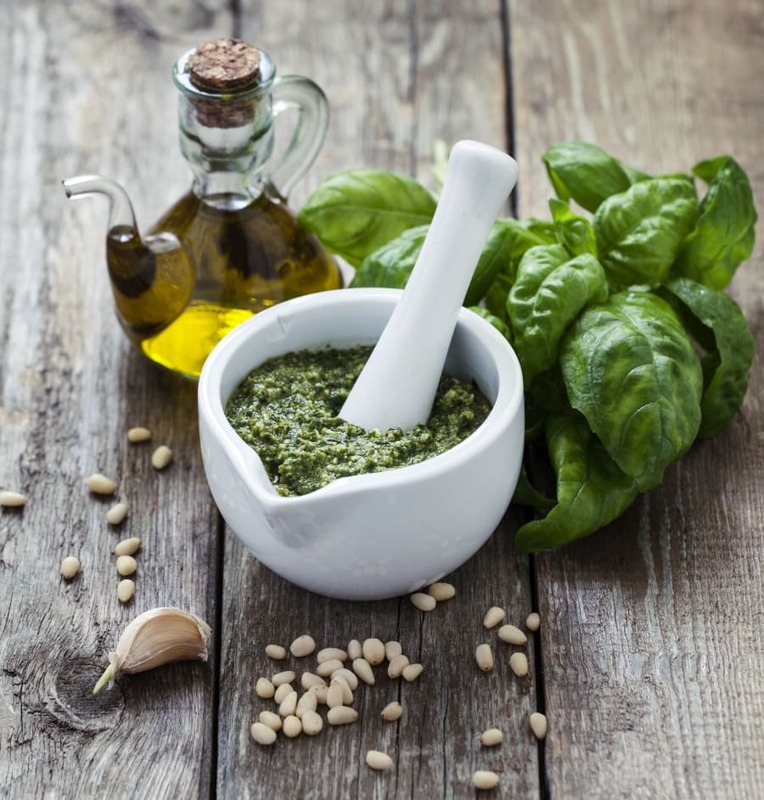 According to Alexandra Parker and Anna Debenham, accredited practising dietitians from The Biting Truth, more Australians should get on the seaweed bandwagon, with the seaweed industry estimated to be worth $US1 billion. 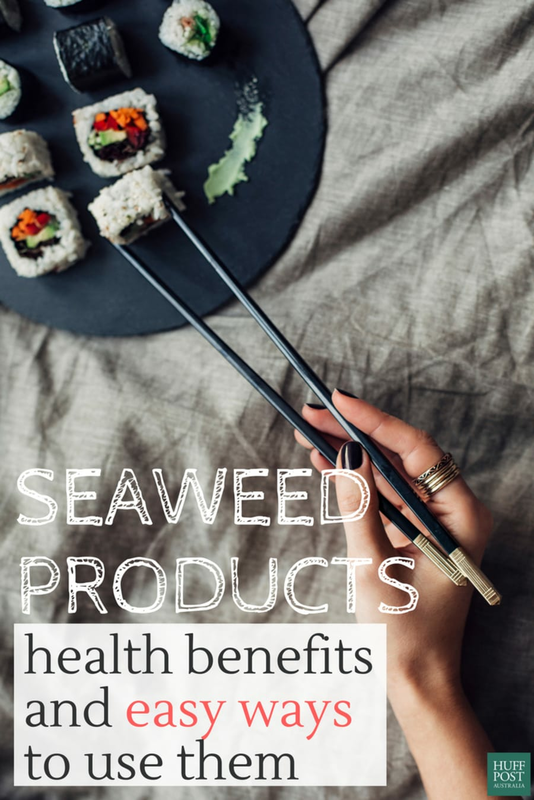 "We love seaweed snacks as they provide plenty of nutritional goodness and help to satisfy that salty craving," Parker told The Huffington Post Australia. "There are a variety of seaweeds and they tend to differ in taste, texture, colour and nutritional content. Some types of seaweeds are higher in iodine than others. For example, kelp is very high in iodine." Wakame -- Small, dark-green/almost-black dehydrated pieces of seaweed typically used in miso soup and Japanese seaweed salad. Seaweed is packed full of essential vitamins and minerals, and is also naturally low in energy (calories) and fat. "Similar to vegetables grown on land, seaweed is low in kilojoules and fats, and provides several essential nutrients including fibre, iron, iodine, zinc, magnesium, vitamin A, vitamin C and B vitamins," Debenham told HuffPost Australia. "Seaweed is a good source of iodine, which is an essential component of thyroid hormones required for growth and metabolism." "The fact it grows in the sea means it is richer in trace minerals like iodine and zinc than land vegetables," Parker added. Sea vegetables are also a good source of antioxidants, as well as B12 -- an important vitamin that is typically found in animal products. "The nutrients in sea vegetables make them beneficial for maintaining health and for fighting diseases. Seaweed is high in antioxidants, which are known to have anti-inflammatory and cardiovascular benefits," Parker said. "It's one of the only natural, non-animal sources of vitamin B12, which is important for many cognitive and bodily functions." "Evidence suggests seaweeds may help improve symptoms of osteoarthritis," Debenham explained. "Seaweed can assist with weight loss as it is low in calories and fat, and contains fibre and other beneficial nutrients. "Overall, there is good evidence that Australians should be eating seaweed more often for the health benefits they provide." 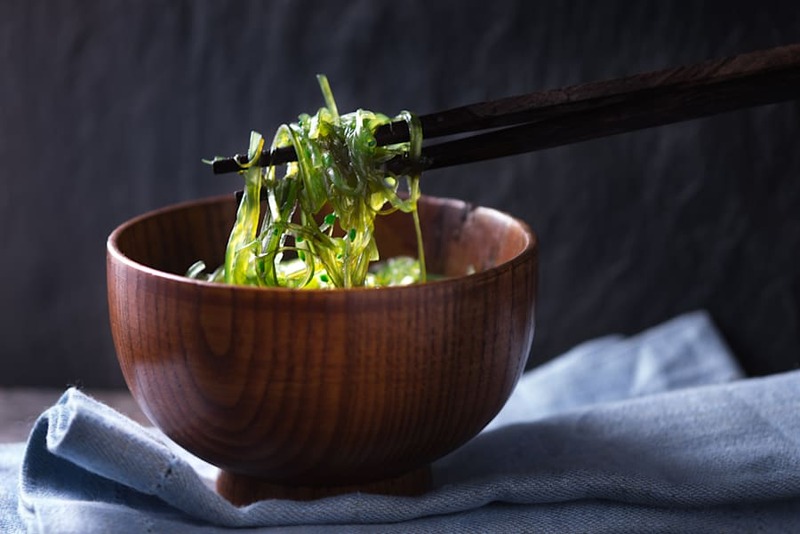 Already love Japanese seaweed salad? Awesome. Aside from the obvious health benefits, there's another very convincing (and important) reason to bring more seaweed into our lives -- seaweed is one of the easiest and most sustainable food crops to grow. Growing seaweed requires no fertilising, weeding or watering, and in the process of growing, seaweed actually cleans the water in which it thrives. According to the Washington Post report, kelp specifically is one of the few farmed foods with a positive environmental impact. Wondering how (aside from eating sushi all day) you can incorporate seaweed into your life? Here's some inspiration. "We often recommend seaweed as a nutritious snack or as an addition to salad," Parker said. Try using seaweed flakes in lieu of salt for added nutrients.